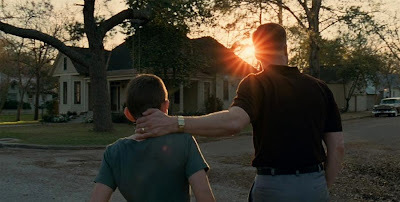 The Tree of Life, Terrence Malick's exploration of suburban family life in the 1950's, received seven nominations for the 15th Annual Online Film Critics Society awards. The film was nominated for Best Picture, Best Director (Malick), Best Supporting Actor (Brad Pitt), Best Supporting Actress (Jessica Chastain), Best Original Screenplay, Best Editing and Best Cinematography. Joining The Tree of Life in Best Picture are Michel Hazanavicius' The Artist, Alexander Payne's The Descendants, Nicolas Winding Refn's Drive and Martin Scorsese's Hugo. Malick, Hazanavicius, Refn and Scorsese were joined in the Best Director race by Melancholia director Lars von Trier. Drive was the second most nominated film picking up six mentions including the aforementioned Picture and Director as well as Best Supporting Actor (Albert Brooks), Best Adapted Screenplay, Editing and Cinematography. Brooks was nominated alongside John Hawkes in Martha Marcy May Marlene, Nick Nolte in Warrior, Pitt and Christopher Plummer in Beginners. In Best Supporting Actress, the nominees were Chastain, Melissa McCarthy for Bridesmaids, Janet McTeer for Albert Nobbs, Carey Mulligan for Shame and Shailene Woodley for The Descendants. Woodley and Mulligan's co-stars shared nominations in the Best Actor slate, George Clooney and Michael Fassbender respectively, who were nominated alongside Jean Dujardin in The Artist, Gary Oldman in Tinker Tailor Soldier Spy and Michael Shannon in Take Shelter. The Best Actress category features Kirsten Dunst in Melancholia, Elizabeth Olsen in Martha Marcy May Marlene, Meryl Streep in The Iron Lady, Tilda Swinton in We Need to Talk About Kevin and Michelle Williams for My Week with Marilyn. Each year, the OFCS also submits nominations for Special Achievement Awards, granted only by a majority vote of the membership. This year, the Online Film Critics have selected two individuals, Jessica Chastain and Martin Scorsese, to receive special citations. Chastain's tremendous and quality-filled output this year has brought her instant acclaim and recognition marking one of the most stellar debuts in recent memory. Scorsese has long been a champion of film preservation and with his love letter to the cinema this year, Hugo, he continues to show his admiration for film history and the many pursuits to keeping those records alive. Winners will be announced on Monday, January 2, 2012. These are a nice group of nominations. The OFCS did an especially wise job in picking Best Supporting Actor nominations. I wouldn't change a single name on that supporting actor list.